YouTube vlogger who has grown an audience of more than 17 million subscribers through a collection of tutorials, tags, and challenge videos on her self-titled channel. Long before creating her YouTube channel in 2016, she first created her Twitter account in 2011. She's also widely known on Instagram where she's commanded over 11 million followers. 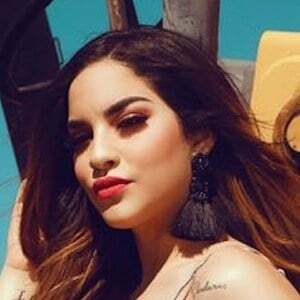 She has been in a relationship with fellow YouTuber Juan de Dios Pantoja. In December 2018, they announced they were expecting their first child. She has collaborated with social media sensation and fellow YouTuber Pedro Figueira.